Forged wheels are a classification of forgings, mainly used in door-type cranes - bridge cranes - mining machinery. Forged wheels are a classification of forgings, mainly used in door-type cranes - bridge cranes - mining machinery. Also known as: wheel, wheel, wheel forgings! Light rail car also has application! Rolling pulley block: also known as hot rolling pulley, is a new type of product that has appeared in China in recent years. 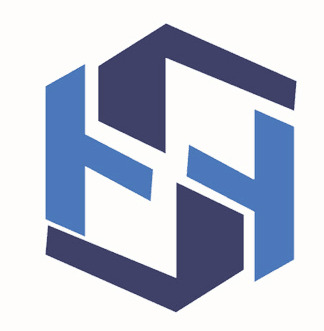 It is widely used in port machinery, lifting and transportation machinery, mining machinery, metallurgical machinery, Construction Machinery, etc. The rolling pulley has light weight and appearance. Simple and beautiful, good quality, wear-resistant and many other advantages. Our company has the most advanced hot rolling special machine in the same industry. It can be made from 300mm-2000mm. 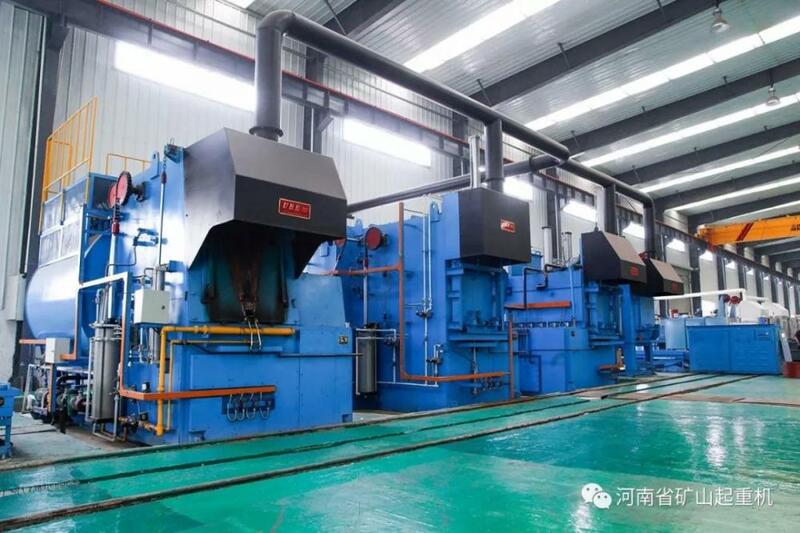 The bearing chamber of hot-rolled pulley is protected by carbon dioxide gas. The main performance parameters can reach the national standard. 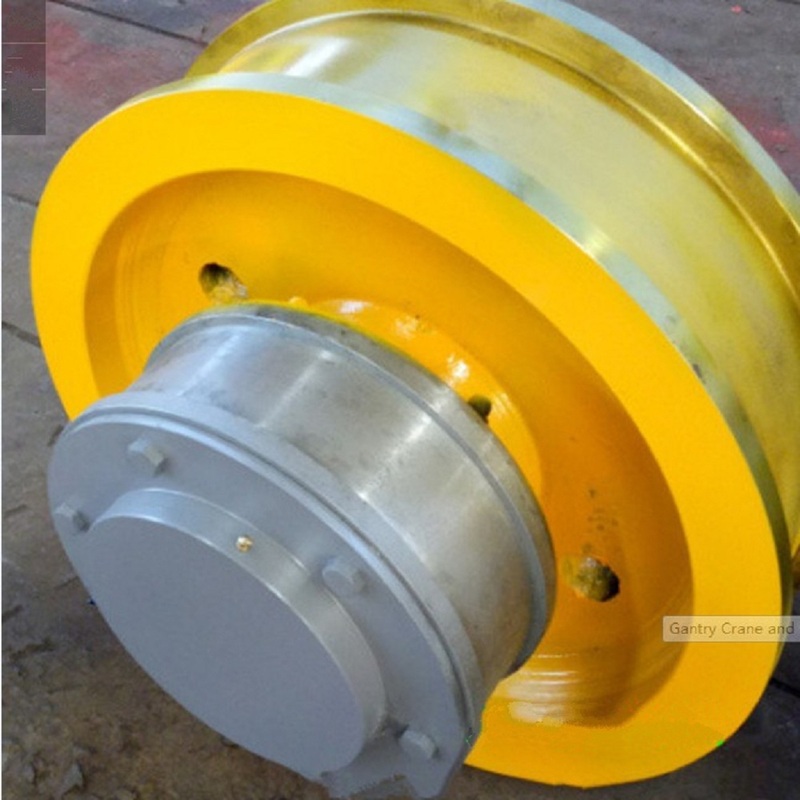 The hot-rolled pulley of the same specification is about 40% lighter than the cast pulley, so the hot-rolled pulley has the characteristics of reasonable structure, high strength and light weight. In addition, the surface of the rope groove of the hot-rolled pulley is smooth and wear-resistant. 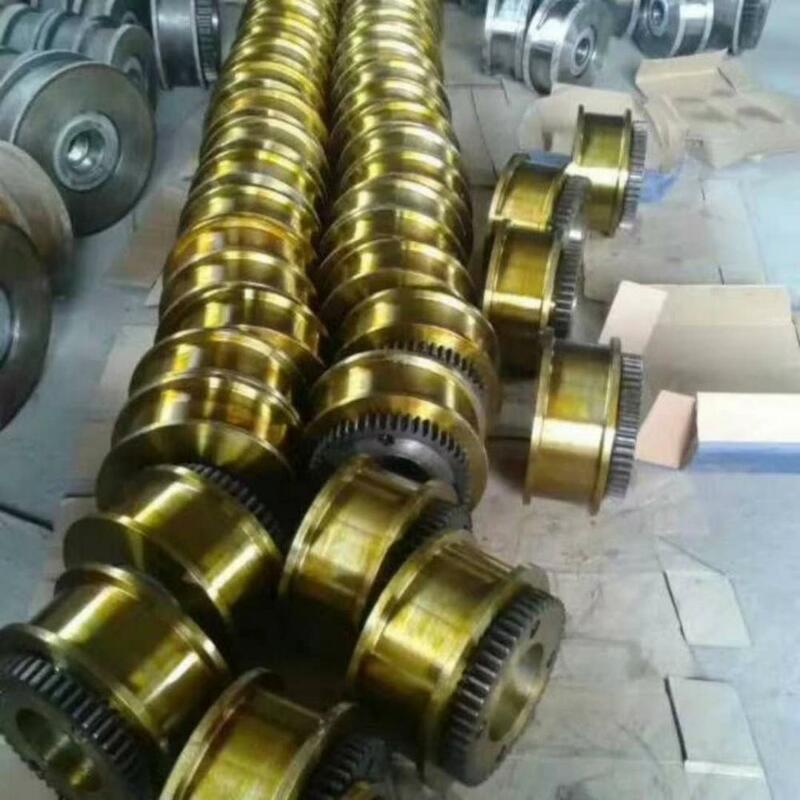 When there are special requirements, the crane wheel can also be heat-treated to improve the hardness and the crane wheel, thereby prolonging the service life of the pulley. 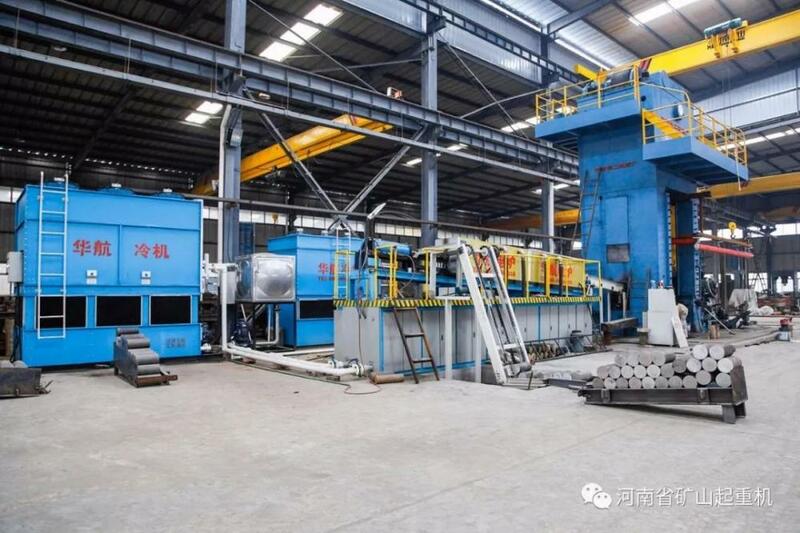 When the hot-rolled pulley is processed in a lathe, the cutting amount is reduced by about 80% compared with the casting pulley, so that a large amount of material is saved and the labor intensity of the worker is reduced. Hot-rolled pulleys can be produced in different sizes, so they are especially suitable for single-piece processing. In addition, hot-rolled pulleys have many advantages such as short manufacturing cycle and high precision. Customers are welcome to order. Looking for ideal Crane Forged Wheels Manufacturer & supplier ? We have a wide selection at great prices to help you get creative. All the Custom Crane Wheels are quality guaranteed. 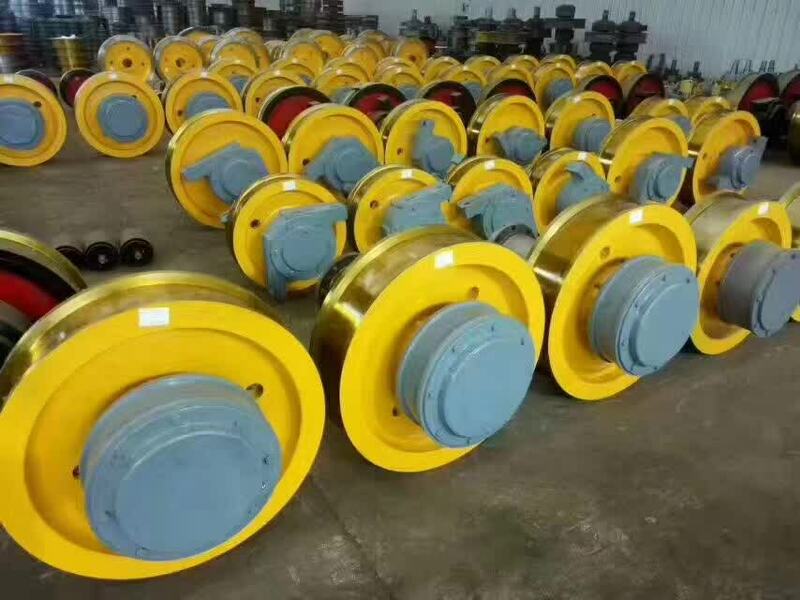 We are China Origin Factory of Industrial Crane Trolley Wheels. If you have any question, please feel free to contact us.